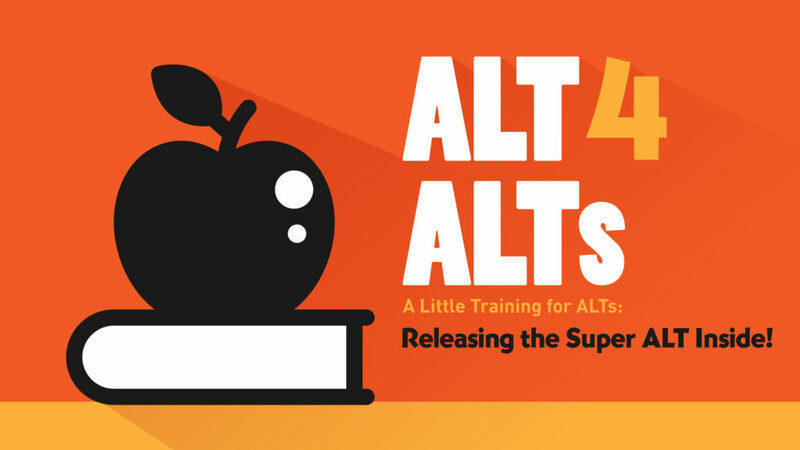 While an ALT is a perfectly adequate assistant in the classroom, the SALT takes it one step further. I am not an ALT. I’m a SALT. I don’t mean to offend anyone here so let me explain. Being an assistant language teacher is an admirable job but you shouldn’t allow yourself to be defined by the title — or can you turn that on its head? Let’s look at it another way: What exactly is an ALT? As the name suggests, the role of the assistant language teacher, or ALT, can be broken down into three parts. An ALT assists and supports the flow of English lessons and education as a whole (this should go without saying, really… ). For example, she or he will “assist” by passing out handouts and worksheets to students, etc. The English language is complicated and difficult, even for the most advanced Japanese teachers of English (JTE) and students with whom you may work or instruct. 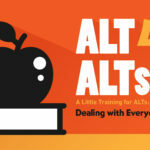 So, an ALT in the classroom provides advice, tips and tricks to help the JTE and the class with tricky grammar, difficult spelling and abnormal pronunciation. An ALT is not technically a teacher. I was hired as an ALT, and I don’t have any sort of teaching credentials or certificates. To the students, though, ALTs are indeed teachers. Most of them call ALTs sensei (the honorific Japanese word for teacher). Foreigners hired as ALTs need to present themselves as professionally as possible by showing up to school on time each day, taking their work seriously and going out of their way to set a good example. Now that we’ve (very briefly) defined the job of the ALT, I think we’re ready to define the job of what we at RCS call a “SALT.” What is a SALT? A super ALT, of course. Are you an ALT or a SALT? The SALT is a leveled-up ALT. Where an ALT does his or her job within the confines of the classroom, a SALT seeks to enhance education within the system as a whole. Let’s take a look at that acronym again, but this time — let’s do it SALT style. While an ALT acts as a perfectly helpful assistant, the SALT takes it a step further. Instead of simply passing out handouts and worksheets to students, the SALT makes their own worksheets before class, discusses these with other teachers and accepts their advice and feedback, makes copies, passes them out to the students during the lessons, explains how to complete the handouts to the students and then checks and marks them in the teachers’ room after class. Sure, that was a long sentence but this can be a long process. A SALT is involved not just during class time, but in the preparation before and after class. A SALT is not afraid to exchange ideas with other teachers and invent new and creative ways to enhance lessons. Here’s a personal example: To introduce past tense verbs, an ALT would simply instruct their students that “play” becomes “played,” and so on. Maybe an ALT would use some flashcards and a Japanese teacher would be there to translate. As a SALT, though, I recently prepared and led a lesson about world famous baseball player Ichiro Suzuki. When I introduced the verb conjugation (“He played baseball in Japan” vs “Now, he plays baseball in America.”), the students were able to understand the different tenses without even needing the Japanese teacher to translate, as they all know of Suzuki’s career path. While flash card drills and textbook worksheets are great for memorizing, creative examples and original teaching materials, provided by the SALT, make for much more interesting lessons and encourage inherent language learning. A SALT wears their title with pride and accepts all of the responsibilities that come along with it. 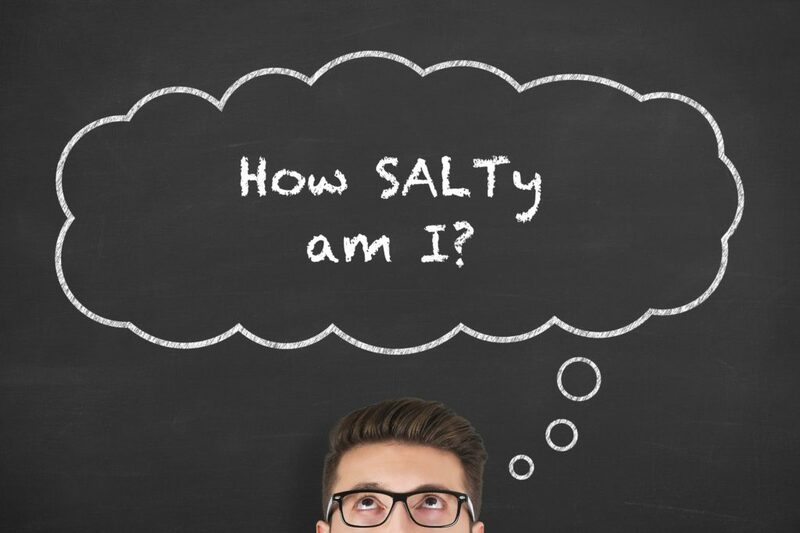 ALTs can help with the basic quirks of the English language, while the SALT introduces their students to a naturally expressive form of English. For example, most introductory English learners in Japan are taught to say, “How are you?” and then to respond with “I’m fine.” But of course, they’re not always “fine.” Sometimes they’re hungry, sometimes they have a headache, sometimes they’re tired. An ALT shows up to school on time and well prepared. This is the bare minimum for every job — from a barista to a rocket scientist. But a SALT steps up their game a bit. To reiterate: students refer to all ALTs as “sensei.” Do you know who else is called sensei in Japan? Doctors! Individuals with an actual Ph.D. Teachers are put into the same category and given the same title. How amazing is that? And from observing teachers in Japan — they deserve it. Teachers in Japan come early, stay late, care for the students through sickness and health, maintain relationships with students’ families, work tirelessly to develop dynamic lessons and coach students in after-school activities among other things. So where does the SALT fit into this? A SALT wears their title with pride and accepts all of the responsibilities that come along with it. Here’s another personal example. Recently, there was an overnight blizzard. As much as I wanted to stay curled up in my nice warm bed and call in sick that morning, I set my alarm extra early, pulled on my snow boots and got to school early. When I arrived, a handful of teachers and students were outside shoveling the snow off of the sidewalk. As an ALT, I would have snuck into the teachers’ room with a nice warm cup of tea and waited for my first lesson of the day. As a SALT, though, I picked up a shovel and joined in the clearing of the sidewalk because I understand that the responsibilities of a sensei are not just limited to the classroom, but involve Japanese society as a whole. I am a role model. I am a teacher. I am a sensei. Now that we’ve thoroughly covered the difference between the ALT and the SALT, which one are you? Will you accept the minimum responsibilities and expectations of your job and spend your idle time staring down the clock until it’s time to go home every day? Or will you approach each day as a challenge and an opportunity to be the best sensei you can be? The writer of this piece is an ALT teaching in Japan with RCS. RCS (Real Communication Solutions) provides assistant language teachers to public elementary, middle and high schools, as well as English cram schools, daycare centers, kindergartens and other businesses. Students worried about being judged, bullied or rejected miss out on countless educational opportunities. As a teacher, you have the power to minimize that fear. 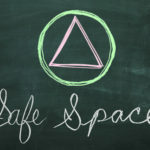 Here are some key tips to create a safe space in class. As an ALT you must be adaptable. You are a guest within a school and you’re there to help. Teaching any type of English class in Japan can have its challenges, but special needs students offer unique, one-on-one situations to help you grow as a teacher — and a person.